It’s February 13th, also known as Villaintine’s Day here on the Disney Parks Blog. Why celebrate Disney Villains? Because without them, there would be no Disney heroes! Can you imagine Peter Pan without Captain Hook? What Ariel’s adventure have been without Ursula? To celebrate your favorite Disney Villain, we’ve pulled together this roundup of some of the latest, most villainous Disney merchandise you can find here at the Walt Disney World Resort and on ShopDisneyParks.com. Create stylish look with these apparel and accessories from Disney Parks. 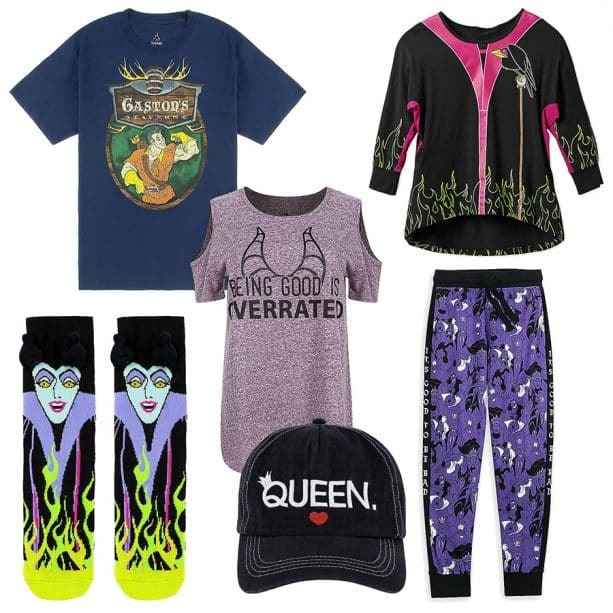 From Maleficent-inspired socks and shirts to a baseball cap celebrating the Queen of Hearts select items can be found at trendy shops such as DisneyStyle at Disney Springs West Side. The tee-shirt for Gaston’s Tavern is found at Bonjour Village Gifts in New Fantasyland at Magic Kingdom Park. 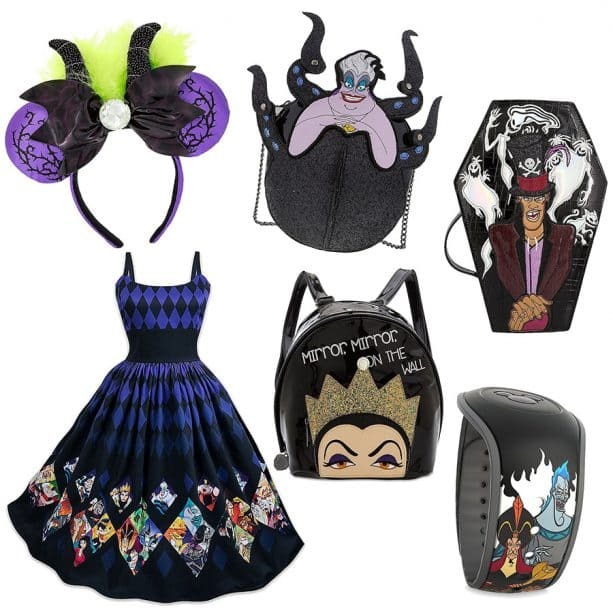 Other accessory options include Disney Villain-inspired crossbody bags and a backpack as well as a retail MagicBand 2 that’s covered with everyone’s favorite bad guys. If you have a passion for Disney style, check out the dress covered with villain from The Dress Shop collection. It has a classic look with a modern fit which makes it a wonderful outfit to wear when visiting Disney Parks. It’s best paired with a Maleficent-inspired, Mouse-eared headband. 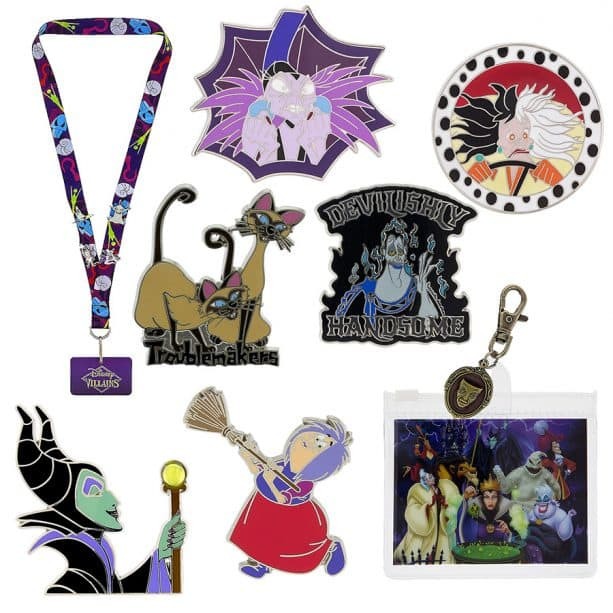 If you love collecting or trading Disney pins, we have several individual open edition pins from Yzma to Cruella de Vil. You can build the perfect villainous collection by adding these pins to a specially designed pin trading starter kit with lanyard. 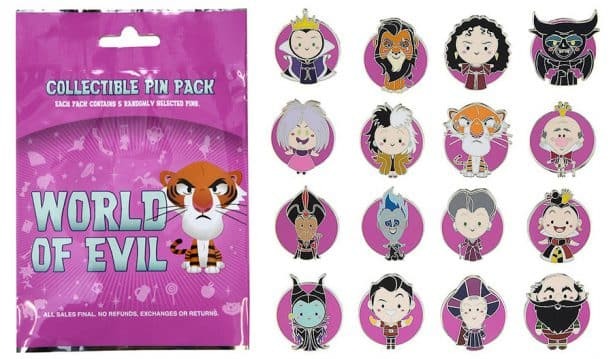 Even more villains are included in the “World of Evil” mystery pin set with artwork created by Jerrod Maruyama. Each pack contains five randomly selected pins. 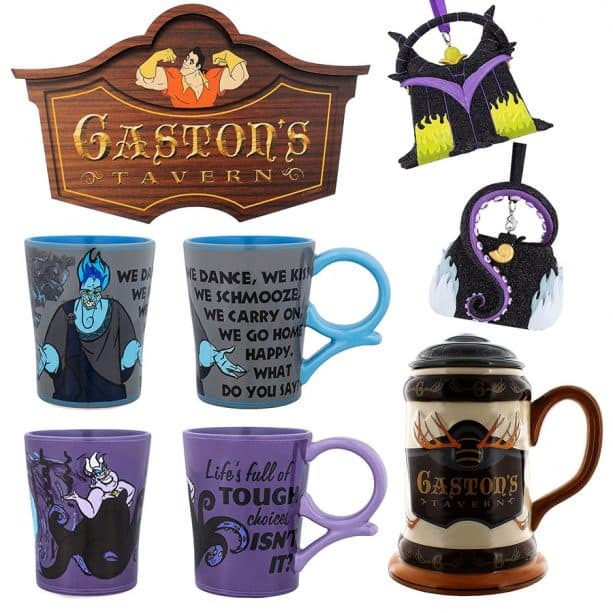 Or, if you prefer antlers in all of your decorating, check out the Gaston’s Tavern wall sign with matching stein. 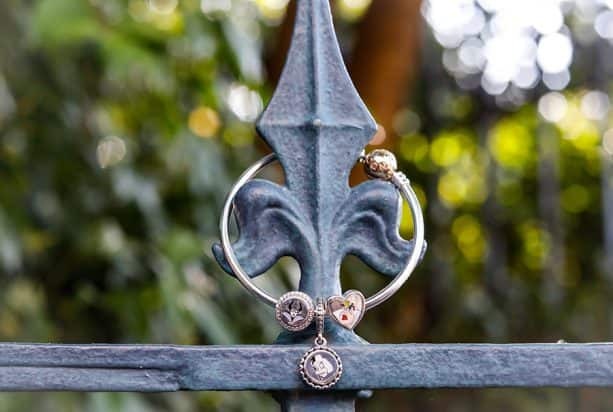 Finally, this PANDORA Disney Villains Charm Set is available at Uptown Jewelers at Walt Disney World Resort. Next articleNew Frozen 2 Teaser Trailer and Poster Released!